6:40 a.m. I wake up to the smell of bacon and coffee here at Shaw’s Hiker Hostel in Monson, ME, and it’s like smelling bacon for the first time: pure bliss. I just spent seven days in the wild and hot food already feels like a luxury. 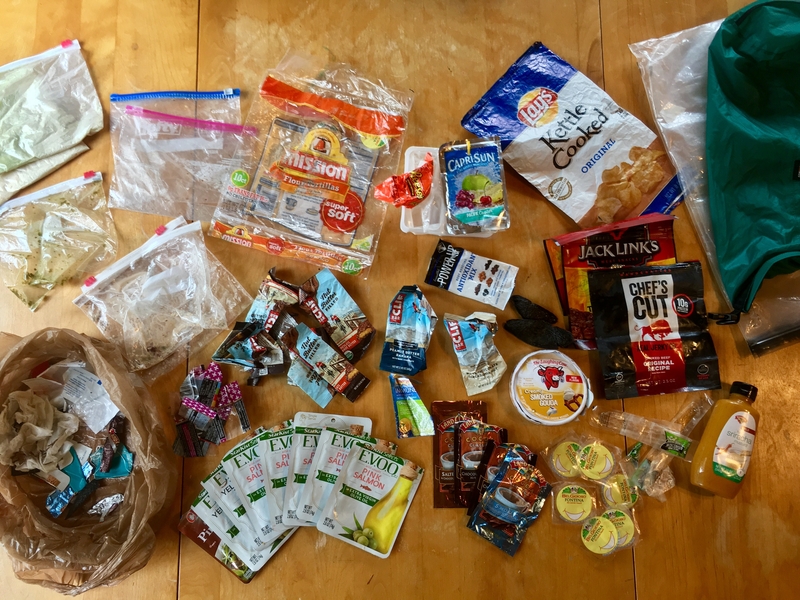 I plan to go stoveless on my thru-hike for simple efficiency reasons: I like to eat when I’m hungry and as soon as possible. Yesterday I exited the 100-Mile Wilderness going southbound on the Appalachian Trail and I’ve officially broken a personal hiking record for the longest stretch of backpacking. 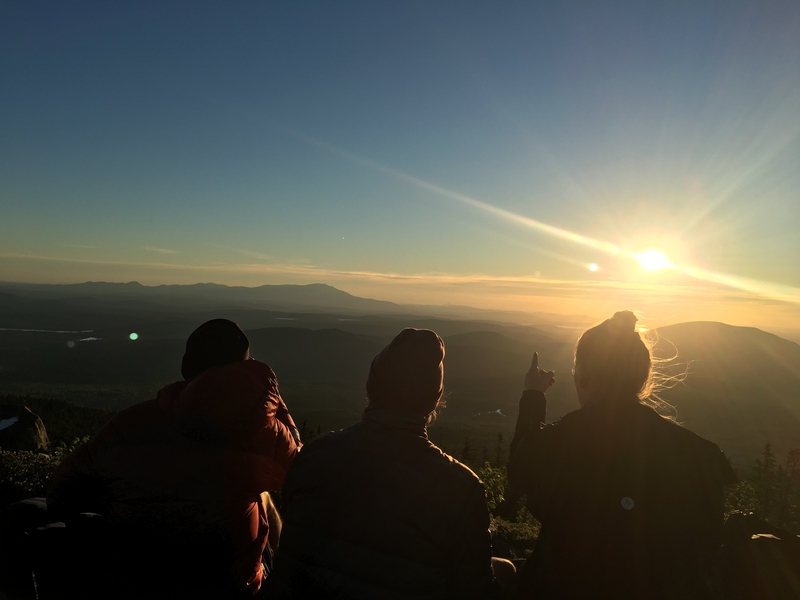 Highlights from the first 114.5 miles include swimming every day, a sunrise hike up to White Cap Mountain, watching a moose graze across Mountain View Pond (mile 65.9), and feeling like I belong exactly where I am and doing exactly what I’m doing. As an added bonus, I might have just joined a pretty rad trail family. Sunrise hike at White Cap Mountain. Pack it in and pack it out: food trash from the 100-Mile Wilderness. Please note: I purchased a roast beef and cheese sandwich, a packet of six powdered doughnuts, and a Baxter Brewery beer + two more Baxter beers courtesy of NOBO Bolt at the Abol Bridge Campground and store (at mile 15.4 into the wilderness). Thanks and congrats, buddy. Bon appétit and happy trails! I totally agree! Now that I’m in New Hampshire, the bottomless hiker hunger is definitely setting in. Thanks for reading! What do you think about the interlink between nature preservation (a key part of hiking) and single use plastics in hikers food? Is it possible to hike without single use plastics? I was curious if you happened to weigh your food bag for the that 100 mile trek.